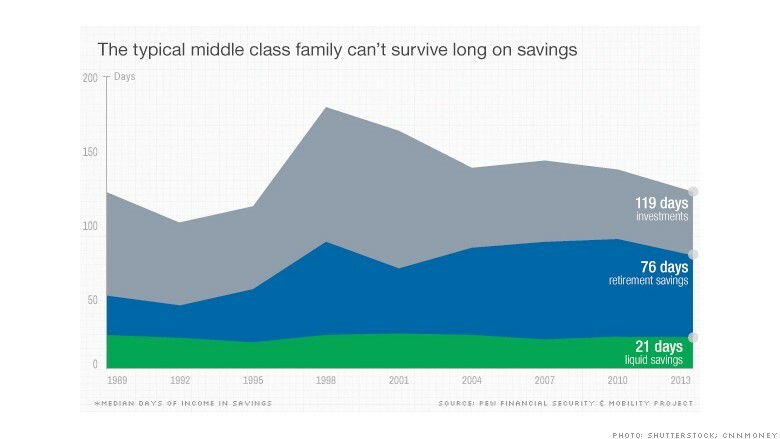 The typical middle-class American family is not prepared for a major financial shock. This family could only replace 21 days of income with readily accessible funds, leaving it on financial thin ice in case of an emergency, according to a new report from Pew's financial security and mobility project. Those funds include cash on hand or in savings and checking accounts. Even if the family liquidated all its retirement savings and investments, it could only replace 119 days of income. 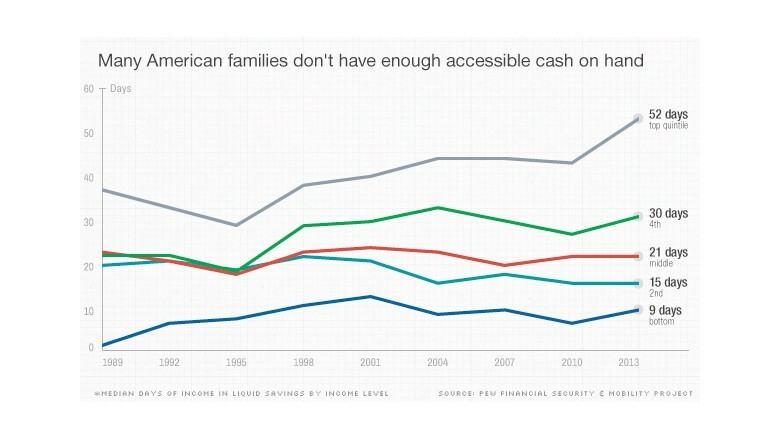 The lowest-income families are even more strapped, with only 9 days of ready cash. But even the richest Americans can only dig up 52 days in an emergency. "Many American families, even those with relatively high incomes, are walking a financial tightrope," said Erin Currier, director of Pew's financial security and mobility project. "Many have little, if any, cushion to absorb an unexpected financial setback. It's a precarious state that threatens not just financial security, but upward mobility." Middle-income families make between $36,500 and $60,000, while the lowest-income households earn less than $20,300, according to the Federal Reserve's Survey of Consumer Finances, which Pew used. The richest have incomes of more than $101,800. Part of what's putting financial stress on families is stagnating wages. Also, it's common for family income to fluctuate wildly. Nearly half of households experienced an income gain or drop of more than 25% over any two-year period. Another problem is that many families have not been building their nest egg. While wealthier households added to their net worth, the bottom 60% of Americans have about the same amount of wealth as they did in 1989. 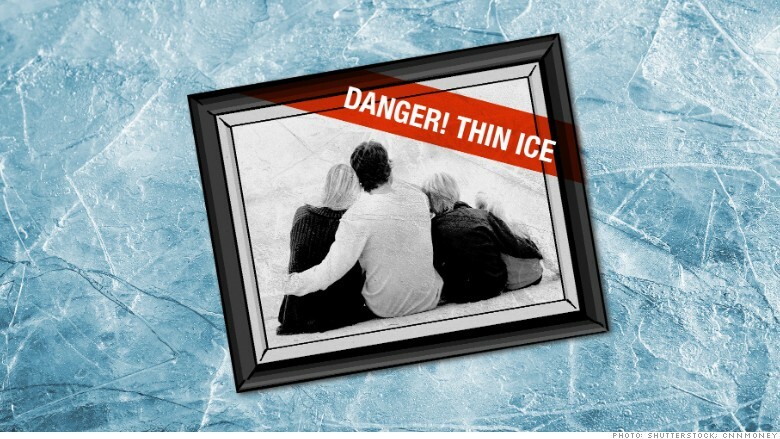 Living on the edge is not only a problem for current households, it can also hurt future generations. Families can't be economically mobile if they aren't financially secure, Currier said. Children's mobility is linked to their parents' financial situation.